Chiffon is a sheer, lightweight fabric often used for prom, wedding and bridesmaid dresses. Soft and flowing, chiffon adds delicacy to garments and also adds a feminine touch to curtains and other household items. 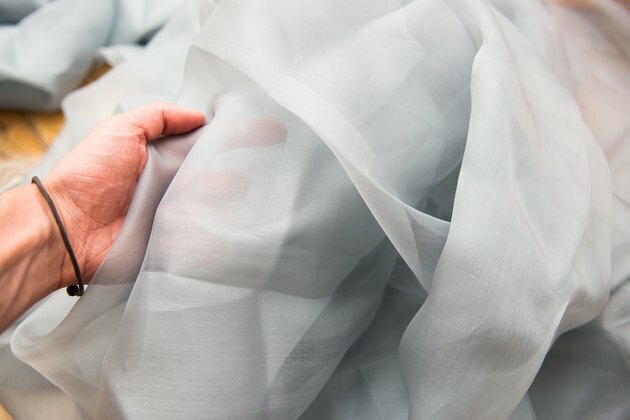 Chiffon is traditionally made from silk, but heartier modern versions are sometimes made from nylon, rayon and polyester. If the tag on your chiffon says "Dry clean only," follow the instructions and take it to the cleaner. If it doesn't, you can hand wash the piece. You may even be able to get away with throwing it in the washing machine, but make this your last resort, because machine washing can damage delicate chiffon. Light and airy, chiffon is often used in bridal gowns and other special event attire. Hand washing is safest for chiffon. Fill a sink or basin with cold water. Chiffon does best in water that is about 40 degrees Fahrenheit, so check your water temperature before adding your fabric. If the chiffon has an unpleasant odor, add 1/4 cup of vinegar to the water, and let the garment soak for 30 minutes. Empty your tub or sink, and refill it with fresh water. Add two cap-fulls of silk laundry detergent or another gentle cleanser. Place the garment in the soapy water. Remove any stains from your chiffon. To do so, add a bit of baking soda to a soft-bristled toothbrush and gently work it into the stain. Always do this as gently as possible. Leave your chiffon to soak in the soapy water for 30 minutes, and then rinse it thoroughly with fresh water. After rinsing your chiffon, squeeze out as much water as you can without wringing the garment. Spread the chiffon on a clean white towel, and roll the chiffon in the towel, squeezing out the water as you go. Reshape your chiffon, and then lay it flat or hang it to dry. You can dry chiffon in the dryer if you are able to turn off the heat and remove it promptly before it wrinkles. Pretreat any stains on your chiffon by scrubbing them gently with some cold water and baking soda. You can use a washcloth or soft-bristled toothbrush to do this, but be gentle. Turn the chiffon garment inside out, and then place it inside a mesh lingerie bag. Place the bag in the washing machine. Do not add any other clothes to the wash, since silk chiffon can bleed. 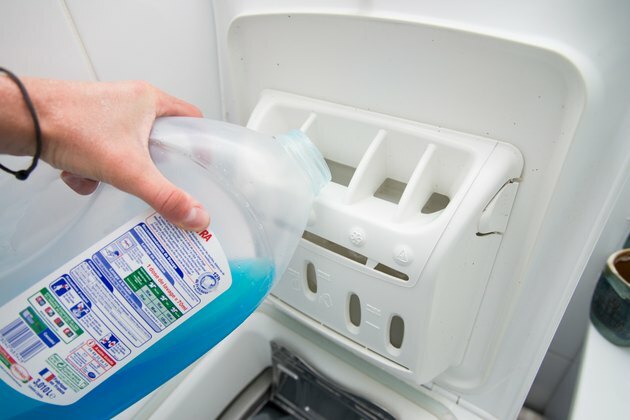 Pour a silk laundry detergent or other detergent for delicate fabrics into the washing machine, and set the machine to cold water and the gentlest cycle possible. Turn it on. When the washer is done, remove the chiffon garment, reshape it and dry it flat. You can also hang the chiffon to dry or place it in the dryer. 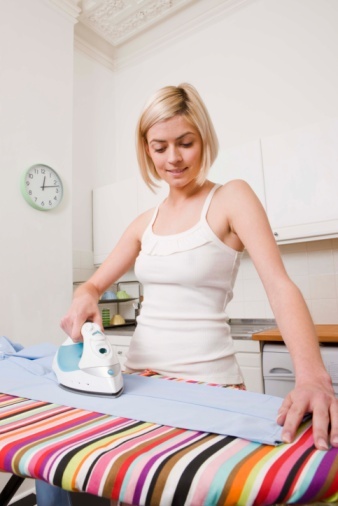 Set the dryer to air dry only without heat, and remove the chiffon promptly to avoid wrinkles.